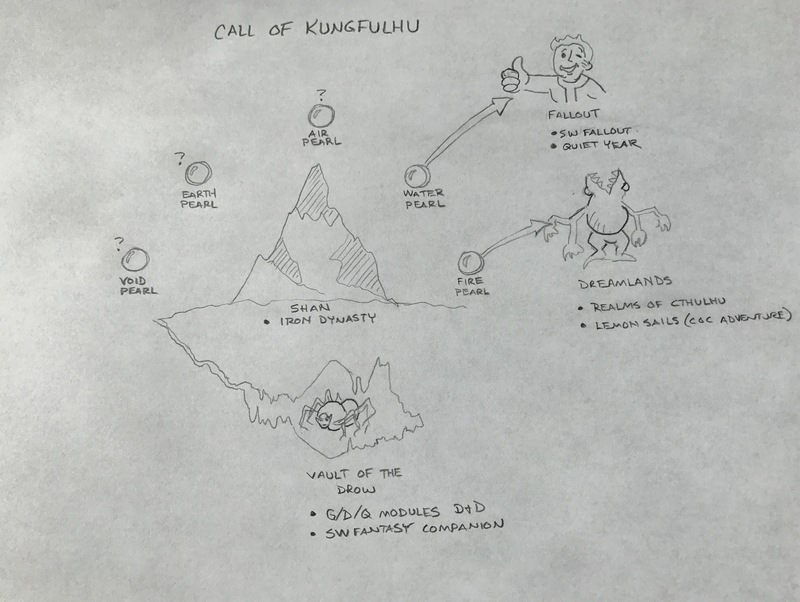 I decided to entice people to play Call of Kungfulhu by creating a One Shot adventure called The Sepulcher of Gloom. To make it even easier, I re-vamped the characters with ready-to-play character sheets. This is pretty much all you need to play a really quick adventure! I wouldn’t recommend using Wrantin Kullslug in this One Shot since he is a Legendary character, unless you want to increase the stats on The Reaver of Skulls; but I also updated his stats. Finally, in case you play this One Shot and want to see what other adventures I’ve concocted for the full campaign, I sat down and drew up a graphic overview of how this living campaign is evolving. The five Elemental Pearls are portals to other Savage Worlds settings that I’m working on. 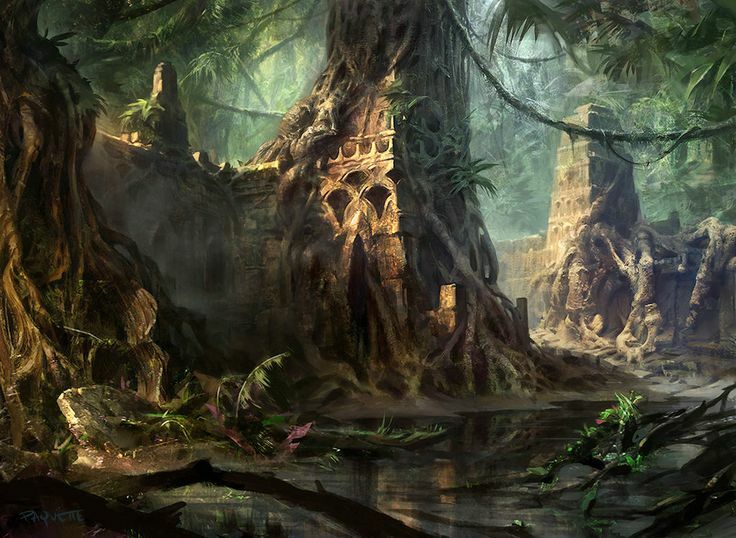 They include: D&D modules G/D/Q series (the Giant and Drow modules) converted to SW, The Dreamlands of Lovecraft, et al (includes Realms of Cthulhu and a Call of Cthulhu module conversion), and Savaged Fallout (includes a session of The Quiet Year for purposes of setting up the current status of the area where the portal leads). I haven’t completely decided on where the other portals lead yet, but I’m also planning on converting the Fantasy Fighting book “Deathtrap Dungeon” into an adventure somewhere along the way.